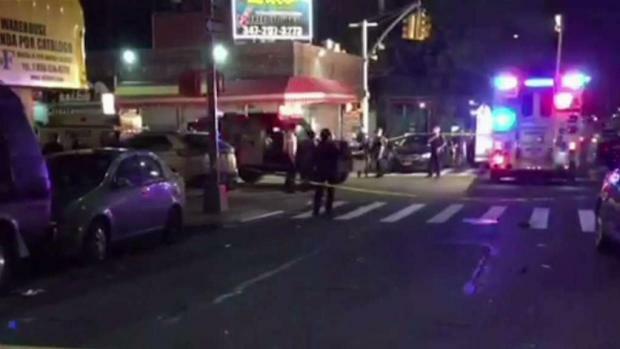 The deadly ambush of an NYPD officer in the Bronx on Wednesday morning has some asking if bulletproof glass on all NYPD vehicles could have prevented her death. Officer Miosotis Familia, 48, was gunned down while sitting inside one of the NYPD’s largest vehicles, a mobile police command center. 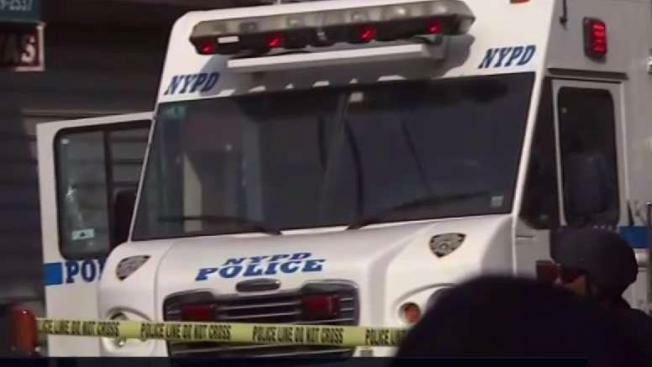 Although the NYPD has been working to retrofit hundreds of police vehicles with bullet-resistant glass, an NYPD spokesman suggested the police command vehicle targeted in Familia's slaying is not one of those scheduled to be upgraded. Earlier this year, Mayor de Blasio announced $10 million to retrofit hundreds of patrol cars with bullet-resistant window inserts. So far the NYPD has installed the window inserts on 151 patrol cars. But when asked if mobile command centers would also be upgraded, Lt. John Grimpel NYPD said only “enforcement” vehicles — not “command” vehicles — are scheduled for new ballistic panels. Bullet-resistant glass, as seen here on an NYPD patrol car, could have saved the life of Officer Miosotis Familia. The city does not plan to outfit the NYPD's mobile command centers with the glass, as it doing with NYPD patrol cars. “The Department continues to focus on outfitting those vehicles used for enforcement with additional ballistic protection,” Grimpel wrote in an email to the I-Team. Officer Familia was killed when an ex-con opened fire on the mobile command center she was sitting in on East 183rd Street in the Bronx. NYPD mobile command centers are large support trucks that resemble RVs. They are often stationed in communities experiencing spikes in criminal activity. State Senator Marty Golden (R-Bay Ridge) told the I-Team he would support all mobile command units being upgraded with bullet-resistant glass, particularly because they are mostly stationary vehicles — in effect, sitting ducks for criminals who might seek to harm cops. “As a former police officer, being shot at? You want to crawl into the cracks in that sidewalk when the bullets start flying,” Senator Golden said. The senator said that when a command vehicle is placed in a certain area, it sends a message to the community that there’s crime in the area that needs attention and that the NYPD is there to make the community safe. “You need to make sure the people in that vehicle — that are making the community safe — are safe as well,” Senator Golden said. In addition to the 151 patrol cars with new front window panels, the NYPD has also outfitted 2,000 vehicles with ballistic protection for the door. James Monahan, owner of Madison Avenue Armor, a company that outfits vehicles with bullet-resistant panels, said mobile command centers could be natural candidates for ballistic upgrades. One of the downsides of installing ballistic panels is that they are often heavy — reducing fuel efficiency and putting stress on a vehicle’s suspension. Since NYPD mobile command centers spend lots of time in a stationary position, that stress is limited.